Have you suffered broken teeth or dental negligence in an accident that wasn’t your fault? Then you could be entitled to claim for compensation. If the accident happened to someone else being negligent or cutting corners then you are legally entitled to claim for compensation. How much compensation for dental negligence can you expect to claim? Dental compensation amounts vary greatly but your broken tooth claim could be worth thousands of pounds. Call trusted legal advisor Legal Expert today on 0800 073 8804, for your free consultation. We will advise you on whether or not you can make a legitimate broken tooth claim, how much you could be awarded and match you to a solicitor with the right expertise to handle your case. Don’t delay, call us today to begin your broken tooth claim. In this case study, we are going to look at a recent case where the claimant suffered broken teeth, through no fault of their own. Mrs Q, as we are going to call her for the sake of her privacy, was shopping in Wrexham town centre on the day of her accident. She bought a packet of crisps at a local shop and began to eat them. Trusting the product was as advertised she bit down and was suddenly in incredible pain. It turned out rather than putting a crisp in her mouth, she had put a plastic-metal foreign object in her mouth and bitten down on it. After further investigation, it turned out that the foreign object was a piece of conveyor belt from the plant where the crisps were manufactured, which had come loose and made it’s way into a crisp packet. What injuries were sustained during this accident? After the accident, Mrs Q sought dental treatment. She had suffered a chipped tooth as well as various cuts to her mouth. Whilst a chipped tooth may be cosmetically undesirable, as an injury they do not often lead to other complications or incidences. In many cases, the biggest consequence of a chipped tooth injury is the cosmetic effect and the impact that this can have on things such as a persons smile or even their self-esteem. After chipping a tooth, the first thing to do is to vist a dentist to get your broken tooth evaluated, and have a range of treatment options put forward. Extraordinarily the crisp manufacturers admitted liability for Mrs Q’s accident. However, rather than offering her a reasonable amount of compensation for her ordeal, they offered her a £50 voucher to spend on their products. Ridiculous when you consider the pain and suffering she endured from her broken teeth. Fortunately Mrs Q realised that they were trying to fob her off and pursued a broken tooth claim for compensation. Her personal injury solicitors managed to negotiate reasonable dental compensation amounts for her. The award was nearly £6,000 awarded for pain and suffering for her broken tooth and additional funds to cover her expenses for private dental treatment. If you wish to sue for pain and suffering for a broken tooth caused by another’s negligence, and compensation to cover for other inconveniences to you such as your medical expenses, then a no win no fee service is a less stressful way to make your claim. No win no fee means that you only pay your fee if you win your case, so there is no financial risk to you when suing for broken teeth. Call our specialist team today and if you have a legitimate case, we could match you with an expert personal injury solicitor who offers a no win no fee service then and there. We are Legal Expert, a trusted legal advisory service, who providing that you have a legitimate case for claiming compensation, will match you to the right personal injury solicitor to win your case, at no extra cost to you. If you suffered broken teeth in an accident that wasn’t your fault and want to make a broken tooth claim, call us today to find out how much dental compensation amounts, or how much compensation for dental negligence you could be awarded. 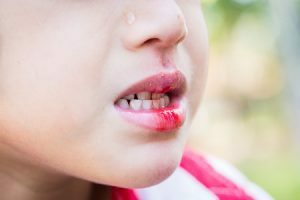 Call Legal Expert today on 0800 073 8804 and see how much compensation you could be awarded for your broken teeth injury. A useful guide on how to avoid tooth problems as well as recommendations for tooth care. How Much Compensation Can I Claim for Dental Negligence? Help and advice for Claimants who have been injured due to dental negligence. This includes advice on how to claim dental negligence compensation.